Calypso Fairtrade Orange Juice is made with concentrated unsweetened pure fruit juice and is from quality oranges grown by small, independent farm groups in Brazil. The Calypso Fairtrade Orange Juice 200ml product ethics are indicated below. To learn more about these product ethics and to see related products, follow the links below. Small cartons are great for lunches, good for adults and children and good quality. 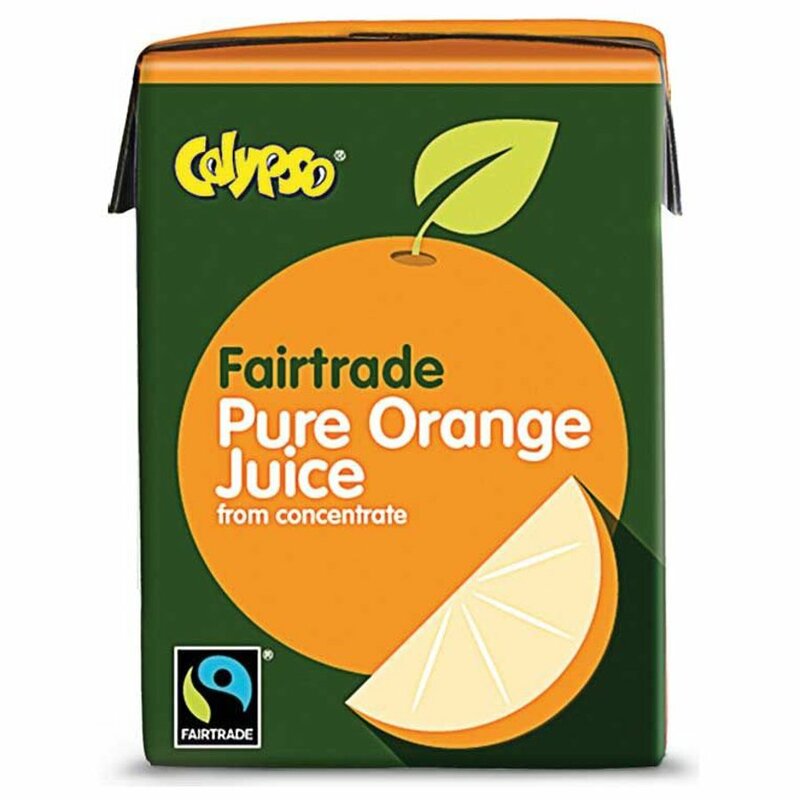 There are currently no questions to display about Calypso Fairtrade Orange Juice 200ml.